In July, I submitted to the then prime minister a report on an India economic strategy out to 2035. The overwhelming focus of that 500-page report was trade and investment, but a key message was also that India should be seen as both an economic and a geopolitical partner. Many of the drivers of Indian strategic policy over the next several decades will work to strengthen this partnership. Indian strategic thinking is likely to be shaped by six key factors. First, India has a firm attachment to maintaining its strategic autonomy and preserving maximum freedom of action. 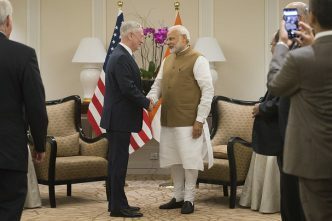 India is not about to become an ally of the US or anyone else. Second, India has a deep strategic competition with China, not just as a neighbouring state but also in relation to China’s broader regional ambitions and influence. 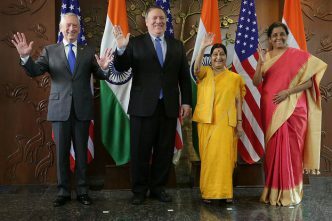 Third, India is showing a growing level of comfort in increasing strategic cooperation with the US and its allies in the region, such as Japan and Australia. But that won’t stop India from also maintaining strong ties with countries with which Australia has little strategic congruence, such as Russia and Iran. Fourth, India is likely to continue to support a liberal international order, although that won’t extend to support for US exceptionalism. India will not be bound by rules in which it had no say. Fifth, India is committed to significantly increasing its defence capability to buttress its strategic autonomy. This will add to its strategic weight. And sixth, India is likely to be cautious about pressing a human rights agenda in its bilateral relations and nor is it much interested in promoting democracy around the world. 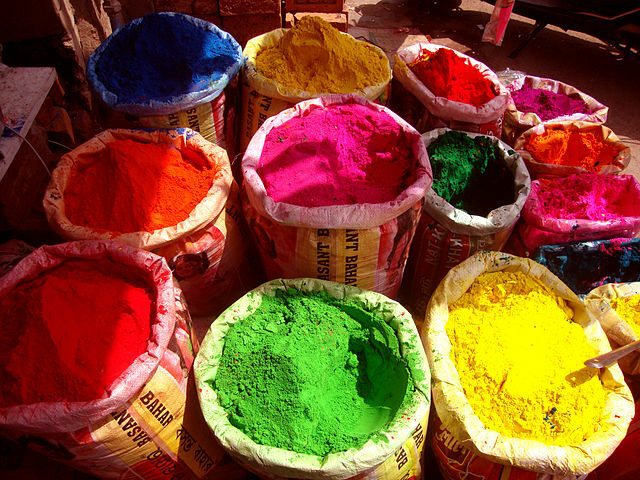 Perceptions of China will be one element in the Australia–India partnership. 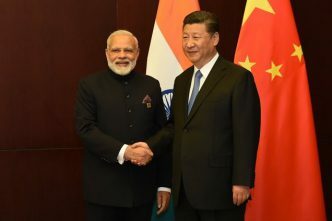 The India–China relationship will have elements of both economic cooperation and strategic competition, not unlike the way in which those two elements thread their way through China’s relationships with the US, Japan, Australia and others. While China is an important factor in the strategic partnership between Australia and India, Australia and India don’t approach China from identical perspectives. Unlike India, Australia is an ally of the United States. China looms much larger in the Australian economy than it does in India’s economy. Australia has a large Chinese diaspora that is a valued part of our multicultural character. Australia also has no border dispute with China and we have never gone to war with China. We don’t see China as an adversary. By contrast, when India looks at China it sees a great power with which it shares a long and disputed land border and against which it has gone to war. The Indian perspective is shaped by its desire to preserve its freedom of manoeuvre and a concern that China’s rising power could narrow India’s strategic choices and flexibility. China aspires to be the predominant power in the Indo-Pacific and that, by definition, would make it the single most important influence on the region’s strategic culture and norms. So for Australia it matters whether China is a democracy or a one-party state. India shares our democratic bias, but the political character of the Chinese state isn’t its primary strategic concern. For Australia, a democratic China becoming the predominant Indo-Pacific power is a very different proposition to an authoritarian China occupying that position. India’s concerns about a powerful China would exist irrespective of whether China were a democracy. Despite these differences, Australia and India share an interest in balancing China. But we also share an interest in developing inclusive regional institutions, especially the East Asia Summit, that promote economic integration and strategic stability. The East Asia Summit is also about engaging China and signalling that balancing and engaging China are not mutually exclusive. Indeed an ‘engage and balance’ strategy is the best alternative to the dead end of containment. All these factors play into Australia’s shift from an Asia–Pacific to an Indo-Pacific framework. The latter brings India squarely into Asia’s strategic matrix, thereby giving more conceptual weight to the Australia–India strategic partnership. India has always seen itself as an Indian Ocean power, whereas Australia has traditionally placed a greater emphasis on the Pacific as the ultimate arbiter of our strategic stability. Now we have an opportunity to better align these perspectives and to build a partnership that bridges both oceans. It is a neat symmetry for an Australian continent which faces both the Pacific and Indian oceans and an India that has always been strategically anchored in its namesake ocean. Peter Varghese AO is the chancellor of the University of Queensland and a former secretary of the Department of Foreign Affairs and Trade. Image courtesy of Wikimedia Commons. 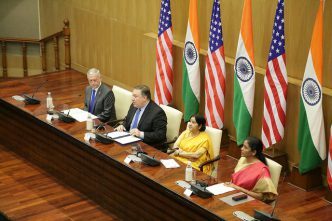 India–US 2+2 dialogue: changing the narrative on counterterrorism? 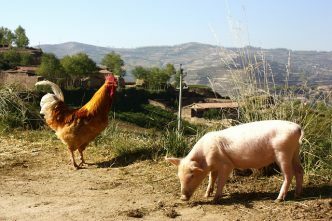 Ham and eggs: who’s really committed in the Indo-Pacific?